The picture does not do this DELICIOUS dish justice. It has all the tastiness & creaminess of chicken salad, but none of the guilt! I replaced the mayo with creamy, dreamy avocado (healthy fat, HOORAY! )...I'm never going back to old school chicken salad again! 1. In a large pot bring water, the juice of the lemon, 1 Tbls. black pepper, a sprinkle of sea salt, & 1 tsp. garlic powder to a boil. 2. Add chicken breasts & allow to poach for 8-10 minutes. 3. Remove chicken from poaching liquid & use two forks to shred chicken in a large bowl. Allow to cool for approx. 5 mins. 4. 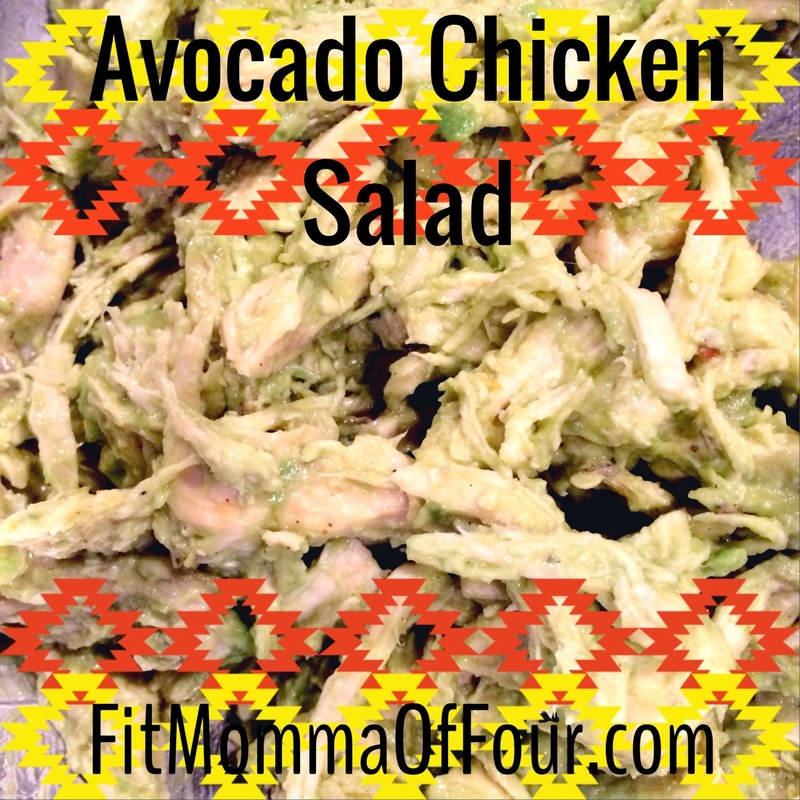 Dice avocados & add to shredded chicken. Mix & smash avocado at the same time. You can make it totally smooth or leave some chunks of avocado if yo like. 5. Add 1 Tbls. black pepper, 1 tsp. sea salt, 1/4 tsp. garlic powder, & a sprinkle of red pepper flakes. Mix well. I put my avocado chicken salad on top of romaine lettuce & fresh veggies. Then I topped it with some clean eating salsa. DE-LISH!! This would also be great on a wrap or some toasted Ezekiel bread. Check out more clean eating recipes here! 21 Day Fix - the journey begins!